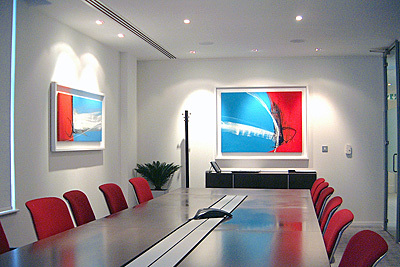 Creative installation of original artwork to complement architect designed offices for International city law firm. 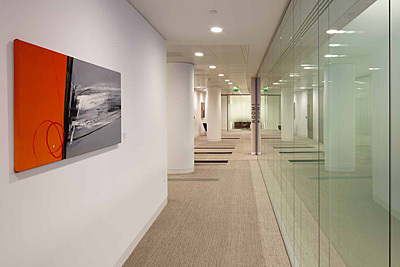 Artists commissioned to produce striking, colourful, abstract paintings to transform four story London HQ. 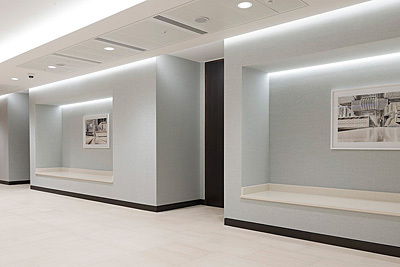 Quality and style is reflected in this collection of imaginative artwork for London offices of International Bank. 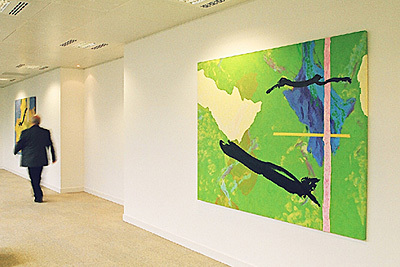 Contemporary, colourful and energetic paintings reflect the power of the elements for energy firm’s London offices. 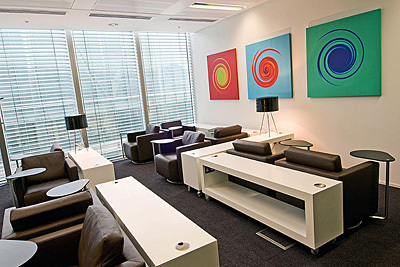 Stylish, affordable artwork to decorate co-working centres across the UK for leading International serviced office provider. 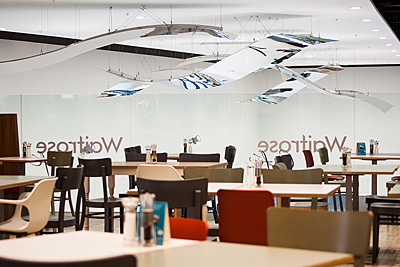 Impressive, site-specific sculpture commission for monumental atrium space in retail department store.